It has been a busy nine months since Lady Hale assumed formal leadership of the UK Supreme Court. During this time she has sworn-in three new colleagues, lead the court on a historic sitting in Northern Ireland, delivered or contributed to judgments in relation to police investigations of violent crime, cohabitee’s pension rights, the treatment of Alfie Evans and smoking bans, spoken to university students, school pupils and west London law clinic volunteers, travelled overseas, delivered speeches on marriage reform, legal aid, religious dress, and the upcoming anniversary of women’s entry into the legal profession, overseen a senior appointments round, and – of course – made an appearance on BBC’s Masterchef. Lady Hale is proving to be a multifaceted judicial leader. But what of her colleagues? As the privileged incumbents of the highest judicial office in the UK, one might expect all of the Justices of the Supreme Court to be judicial leaders of some kind. So, giving the new appointments – Lady Black and Lords Briggs and Lloyd-Jones – time to settle in, what about the past and current UKSC Justices – what difference they have made by virtue of their membership of the Supreme Court? Jurisprudential or ‘thought’ leadership refers to a judge’s influence on the decisions or jurisprudence of the Court, in a specific area or more generally, including the development of a line of thought at odds with the Court’s general position but which is nonetheless jurisprudentially important. Community leadership involves the extra-judicial and ‘outreach’ work – described by Richard Cornes as ‘judicial statespersonship’ – which helps to instil public and professional confidence in the court, reinforcing its accessibility and openness, and expresses a commitment to judicial institution-building at the broadest level. Of course, not every UKSC Justice will perform every form of judicial leadership. Those with formal administrative leadership roles are not necessarily also jurisprudential leaders or social leaders of the Court. Likewise, jurisprudential leaders may not all be able or willing to travel regularly to outside speaking engagements. But we might think – expect, even – that every Justice should discharge at least one of these forms of leadership on the Court. Some forms of leadership are more readily observable than others. While jurisprudential leadership may be discerned from an analysis of decided cases, many of the tasks of administrative leadership are performed behind closed doors, with only those directly relating to administrative leadership of the Court’s adjudicative functions likely to be observable. Similarly, social leadership is likely to be known only to ‘insiders’, or to someone who has closely observed and/or interviewed members of the Court. Nevertheless, there is freely available information about the Justices’ activities to which the media, the public, law students and most members of the legal profession have access. Drawing on systematic analysis of the 402 decisions issued by the Supreme Court in the six-year period between its inception in October 2009 and the end of the 2014-15 judicial year, the Supreme Court website and Annual Reports for the same period and various legal databases and library catalogues (to February 2016), we can see in what ways and to what extent Justices can be publicly observed to be acting as administrative, jurisprudential and community leaders. Unsurprisingly perhaps, the key administrative leadership roles – as President or Deputy President – tend to translate into also both jurisprudential and community leadership. Jurisprudentially, formal leaders tend to sit on high proportions of cases, and the presiding Justice – who is almost always the President or Deputy President – is more likely to write the leading judgment in a case and more likely to have their opinion of the outcome of the case prevail (that is, they are less likely to be in dissent). Moreover, their ability to choose who writes the leading judgment (in their stead) enables them to influence the jurisprudential direction of the Court by proxy. In this context, the Neuberger-Hale leadership regime gave more leading judgment-writing opportunities to other Justices than the Phillips-Hope leadership regime. In relation to community leadership, the President and Deputy President have also tended to give more speeches, publish journal articles, and/or or travel overseas. While jurisprudential and community leadership roles may also be assumed by individual Justices regardless of any formal leadership responsibilities, just Lords Mance and Carnwarth in our cohort combined the two, while Lords Hope, Kerr, Roger, Brown, Sumption, Toulson and Reed may be seen as jurisprudential but not community leaders. On the measures used in our analysis and in our time frame, Lords Clarke, Wilson, Hodge and Hughes made relatively modest or minimal contributions, even taking into account the relatively recent arrival of the latter two Justices on the Court. Lady Hale emerged as a clear leader in all three of the public dimensions of leadership examined. Like Lords Mance and Carnwath, she was a jurisprudential and community leader before becoming Deputy President, and as Deputy President she extended her contributions in these areas as well as performing her administrative role. During the Courts’ first six years she participated in more Supreme Court decisions numerically than any other Justice: 216 of the 402 decisions (54%) issued by the Court – 40 more than the next most frequent panel member, Lord Clarke. She has sat equally on cases from all parts of the UK. Moreover, her leading judgments and presiding were more likely to produce unanimity. The Court was unanimous in 69% of cases in which Lord Phillips presided, 74% of cases in which Lord Neuberger presided, 82% of cases in which Lord Hope presided, and 85% of cases in which Lady Hale presided. This was not simply because she wrote leading judgments in her specialist area of family law, and therefore the rest of the Court was more likely to defer to her expertise. In fact, she wrote leading judgments in 18 different subject areas, compared to 19 for Lord Neuberger, 17 for Lord Hope, and nine for Lord Phillips. Instead, her unanimity effect may well reflect her desire, reported by Paterson, when writing a leading judgment to seek consensus as far as possible and to make an effort to write judgments with which the other members of the court can agree. In addition, Lady Hale was a leader in all three forms of community outreach discussed: published speeches, published articles and books, and overseas engagements, especially invited lectures. By way of example, though the number of Lady Hale’s speeches increased slightly following her appointment as Deputy President, she has been one of the most prolific speech givers (or at least publishers of speeches on the Court’s website) throughout her time on the Court, publishing 32 speeches during in 2009-15, easily outstripping the 13 speeches published by Lord Hope as Deputy President and fellow inaugural Supreme Court Justices, Lord Mance who published eight, Lord Kerr who published seven and Lord Clarke who published just two. She was pipped to the post of top speech giver by Lord Neuberger whose 36 speeches accounted for 26% of all published speeches during the period of our study. The coming year will see a further batch of retirements from the Supreme Court: Lord Mance (as Deputy President), Lord Sumption and Lord Hughes. This will deprive the Court not only of one of its formal leaders, but also of two of its jurisprudential leaders and one of its pre-eminent community leaders. It is vital that this is taken into account in the appointment processes for new Supreme Court Justices. New appointees must be capable of and prepared to shoulder the burdens of administrative, jurisprudential and community leadership, and thus to contribute not simply to decision-making but also to judicial leadership both on and by the UK Supreme Court. 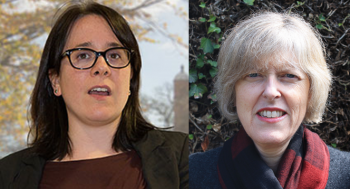 Erika Rackley is Professor of Law at the University of Birmingham and Rosemary Hunter is Professor of Law at Queen Mary University, London. This post draws on their article ‘Judicial Leadership on the UKSC’ which has just been published in Legal Studies and is available Open Access for a short time here. This entry was posted on May 30, 2018 by Constitutional Law Group in Judiciary and tagged judicial leadership, UK Supreme Court.